LTD. 2018 SPECIAL EDITION / ONLY 1 COPY PER ORDER PLEASE !!! 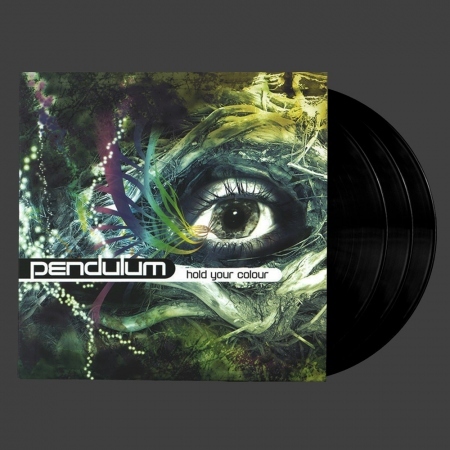 - 'Hold Your Colour', the debut album from Pendulum has been pressed on Heavyweight Triple Vinyl, on seminal Drum&Bass label Breakbeat Kaos, to help celebrate it's 15th year as a label. This Limited Pressing 3 x vinyl features the full original album plus bonus track 'Blood Sugar' for the very first time on Vinyl. The Album in full has previously only ever been on CD & Digital and was originally pressed on vinyl as a 6 track album of non single tracks. 'Hold your Colour' was originally released in July 2005 on Breakbeat Kaos and went on to gain Pendulum worldwide critical acclaim and festival headline slots. The album features collaborations with artists such as the DJ Fresh and TC, MC's $pyda, Tenor Fly and Fats, plus vocalists from bands Freestylers and Halogen.